Essentially, the new feature allows Firefox users to keep their existing window open when they launch a new private window. Previously, users have had to exit the browser altogether and restart it in private mode. 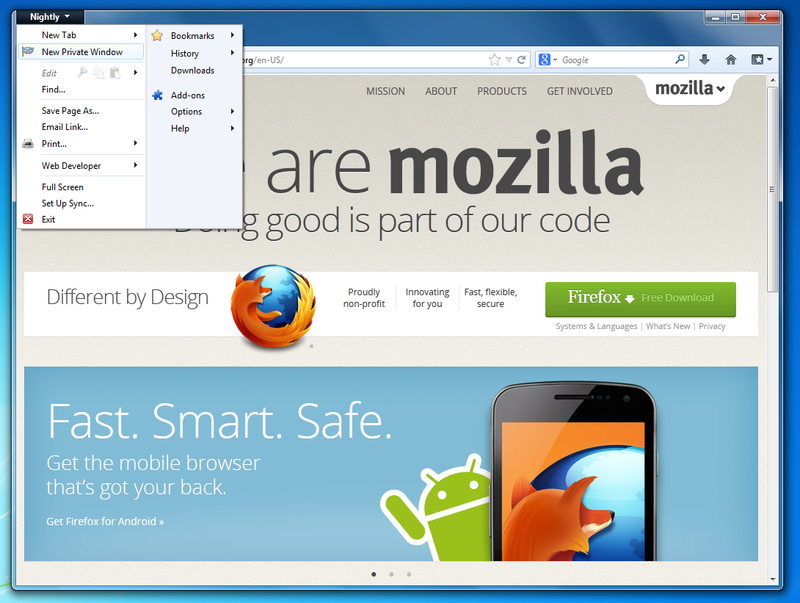 MozillaFirefox 20 will let users keep their existing Firefox windows when they open a new private window (Click image to enlarge). To make those changes possible, Mozilla has redesigned the existing private browsing mode from scratch in what was “a huge project,” he noted. It's Firefox 20 that's currently making its way through the Nightly channel; according to Mozilla's planned schedule, that version will enter the Aurora channel in early January and the Beta channel on Feb. 19. A final release is planned for early April 2013. Want to check out these latest changes for yourself? 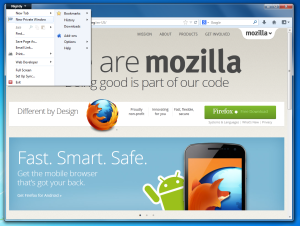 Though they're far from ready for production purposes, Nightly builds can be downloaded for free from the Mozilla site.